Google today announced that the new version of Gmail will launch into general availability and become available to all G Suite users next month. The exact date remains up in the air but my guess is that it’ll be sooner than later. 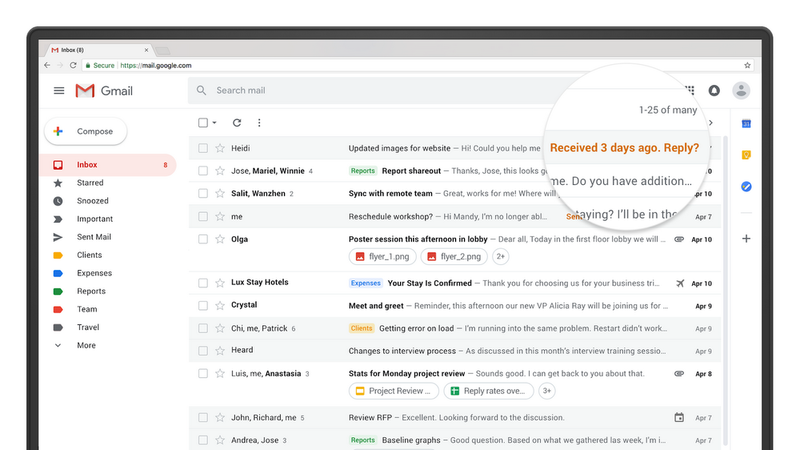 The new Gmail offers features like message snoozing, attachment previews, a sidebar for both Google apps like Calendar and third-party services like Trello, offline support, confidential messages that self-destruct after a set time, and more. It’s also the only edition of Gmail that currently allows you to try out Smart Compose, which tries to complete your sentences for you. Here is what the rollout will look like for G Suite users. Google didn’t detail what the plan for regular users will look like, but if you’re not a G Suite user, you can already try the new Gmail today anyway and chances are stragglers will also get switched over to the new version at a similar pace as G Suite users. Starting in July, G Suite admins will be able to immediately transition all of their users to the new Gmail, but users can still opt out for another twelve weeks. After that time is up, all G Suite users will move to the new Gmail experience. Admins can also give users the option to try the new Gmail at their own pace or — and this is the default setting — they can just wait another four weeks and then Google will automatically give users the option to opt in. Eight weeks after general availability, so sometime in September, all users will be migrated automatically but can still opt out for another four weeks. That all sounds a bit more complicated than necessary, but the main gist here is: chances are you’ll get access to the new Gmail next month and if you hate it, you can still opt out for a bit longer. Then, if you still hate it, you are out of luck because come October, you will be using the new Gmail no matter what. Posted in Software Development and tagged Enterprise, G Suite, Google, TC.